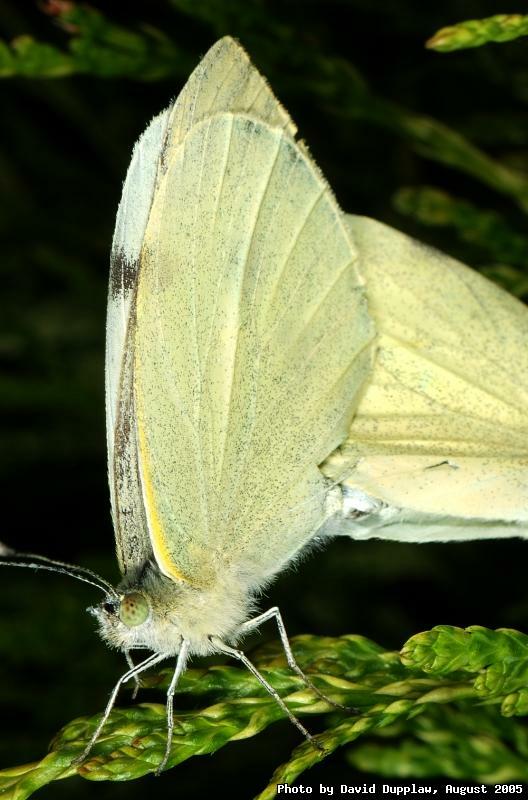 I spotted this cabbage white butterfly mating on our fir tree. I hoped its reaction would ok with me sidling up to it with a big camera, but it turned out it was too busy and just sat there. Made a great subject for this reason. They are quite large butterflies, so I took all my extensions tubes off and just had my reversed lens to take this one, and I could still barely fit it in. The caterpillars of these butterflies ravage our brassicas, the gits.